I have a common problem with my navigation kit where I have a message on the Navigation Screen that is green and says "Please Check your Disc." I would like to upgrage the radio for my car with adding a Metra kit. I've been told by a rep for Metra that they don't make a Metra kit for my 2004 Honda Accord EX with Navigation. He replied to me saying the Metra 99-7803G model doesn't have the correct hookups for a Nav unit. I've seen different threads where others have installed this into theirs, although I've asked the question if theirs are specifically a Nav unit and have no replies yet, so I figured I'd start a thread. Are there any users on here who have my situation who are using the Metra unit? Another question: Can a newer year Accord Nav unit fit in and work in my car? The main thing I'm trying to get is bluetooth for streaming from my phone. Thanks Community for any help. BTW, I see for new users I'm supposed to put my info in my signature, but haven't found how to add a signature, so I'll put what I can below. 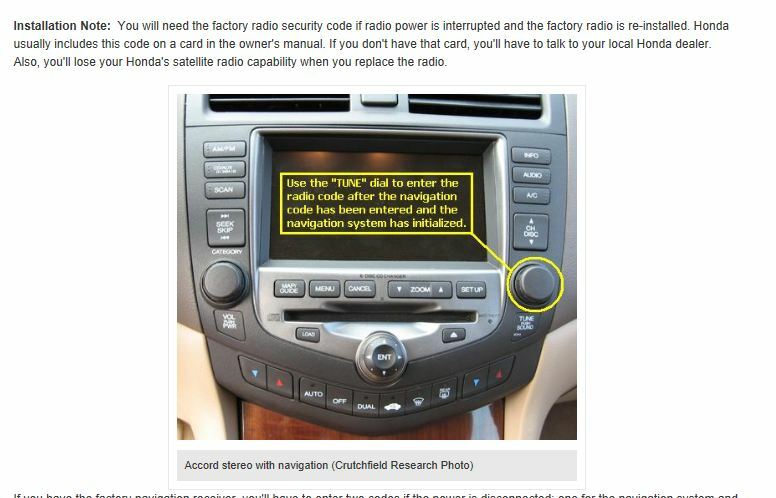 On other Honda/Acura products, the dvd player must be repaired by Alpine (flat rate was $360 recently) to restore nav function. I have no info on a Metra kit to offer. If the guy at metra said it wont work, chances are that it wont work as is. maybe some ways to do some modifications but it wont be easy. that unit just came out about a year ago to make the a/c controls work. before that you couldnt replace the headunit. any 7th gen should be the same, 03-07 I believe are the 7th gens. I know it starts at 2003.
you could also get rid of the factory navigation and get a double din that has built in navigation and the bluetooth. the title under your name will auto update as you makes posts.